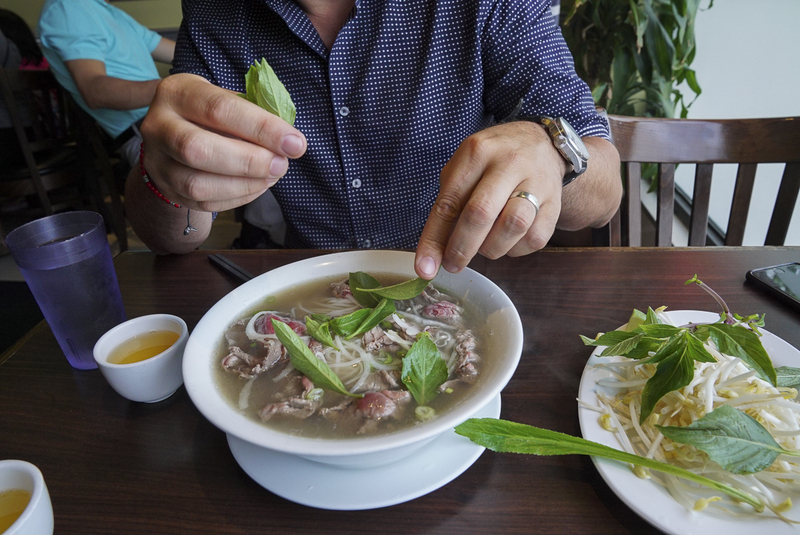 The first step is to sample and season Pho. 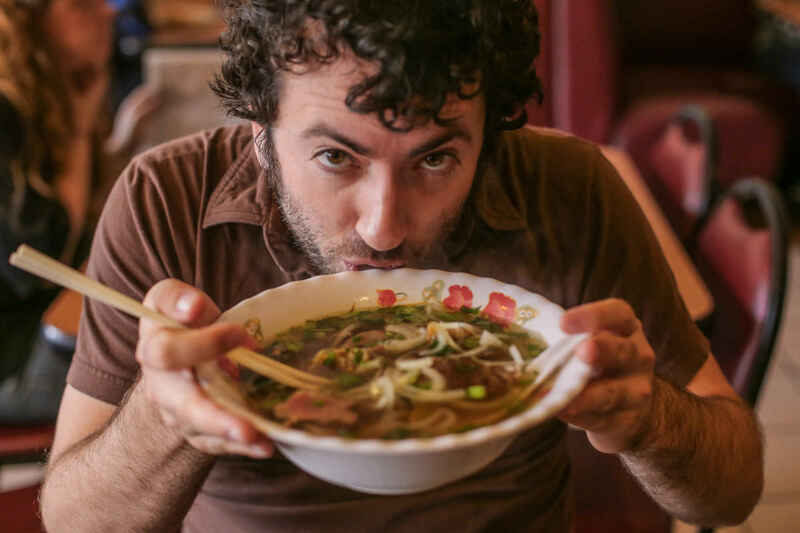 When the bowl of Pho is given to you, lift a spoon and taste its broth. If you think that it needs a little more flavor, just add some fish sauce, soy sauce, chili sauce or a common Pho condiment and squeeze a little of lemon into the bowl. Just taste until you get the delicious broth for yourself. The second step is to add sprouts and herbs. Just a handful of beansprouts is enough. Use the spoon or chopsticks to submerge them along with any pieces of rare beef for a couple of minutes. Then, add some leaves of Thai basil and tear herbs to increase the flavor, too. If you love a spicy taste, try putting some fresh chili into the bowl. The third step is to prepare your own dipping sauce while allowing the broth time to cool a little. Add chili sauce and hoisin sauce into a small sauce dish. Remember to balance the amount of both sauces (about 50/50). Or if you are sensitive to spicy things, less chili sauce will be okay. Don’t forget to squeeze a little of lemon, stir, and sample by using the chopsticks’ tip. In case that you can’t use the chopsticks to eat Pho, just ask for a fork. Take the fork to wind up the noodles and spear other ingredients. 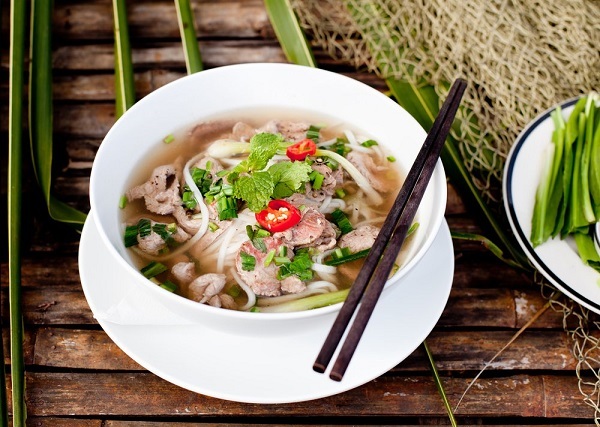 However, most of the foreign travelers often use the chopsticks because they want to know more about Vietnamese cuisine. 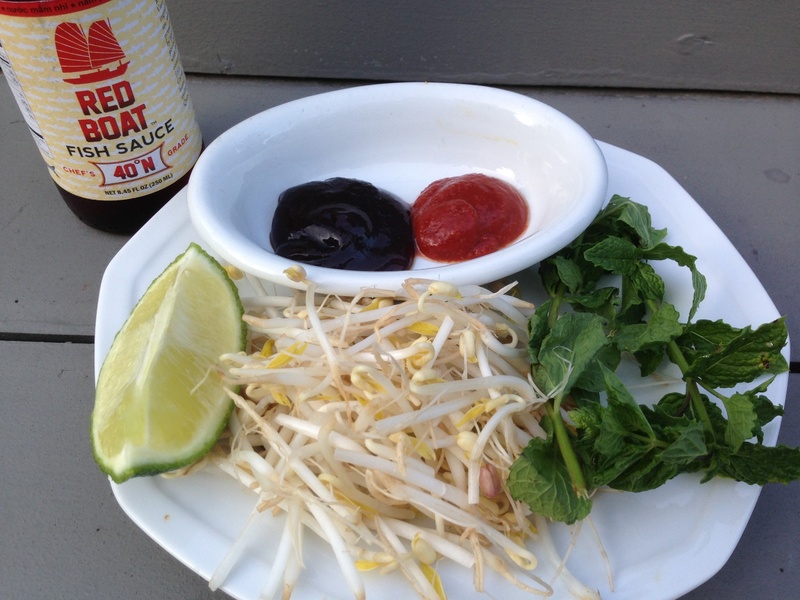 With four steps for those who are learning how to eat Pho, are you confident now? 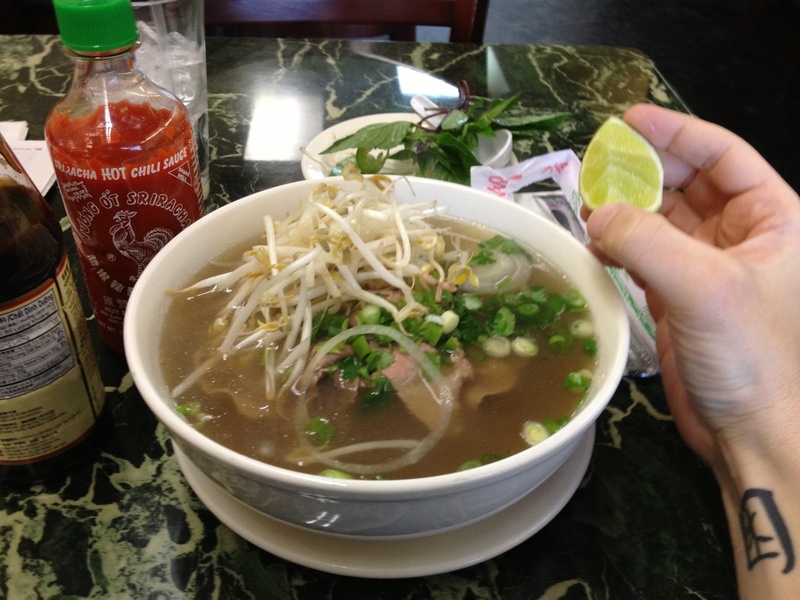 It’s time to go to a restaurant, order the bowl of delicious Pho and eat it.